There is something special about railroads and travel by train. 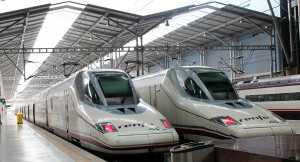 From riding tourist trains in an open car at less than ten miles per hour while being pelted by cinders through today’s high speed trains that zip through the European countryside at 220 miles per hour, railroads and trains have captured our interest and imagination. Best of all, on the best of trains, travelers can sip a glass of Champagne and gaze through picture windows in the lounge car as the train speeds them to their destination. Why has the romance and practicality of the rails persisted into the 21st century, despite intense competition from automobiles and airplanes? Why is it that travel by rail continues to be the preferred land conveyance for legions of smart travelers and urban commuters? Is it because of the center-city to center-city convenience of rail travel? Could it be because passenger trains have large and comfortable seats, roomy aisles and huge windows compared to an airplane? Might it be because railroad terminals are just less of a hassle than airports? Is it because of the fascinating towns and countryside the train traverses, offering a constantly-changing tableau of the land and its people? Perchance is it that fellow travelers on a train tend to come out of their shells and chat with perfect strangers? Might it be that many trains still have real dining cars that are moving restaurants with sit-down dinners, great service and often gourmet-quality food and drink? 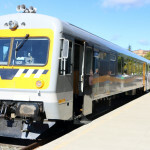 Or could it be that overnight trains still offer sleeping accommodations, thereby saving the need to get a hotel and allowing travelers to arrive at their destinations refreshed? Is it because train travel is usually less expensive than air travel or renting a car and driving and nobody charges you to bring a couple of bags with you? Might it be because nobody frowns at you when you get out of your seat, enter the roomy aisles and stroll around the train? Truly, the answer is all of these. 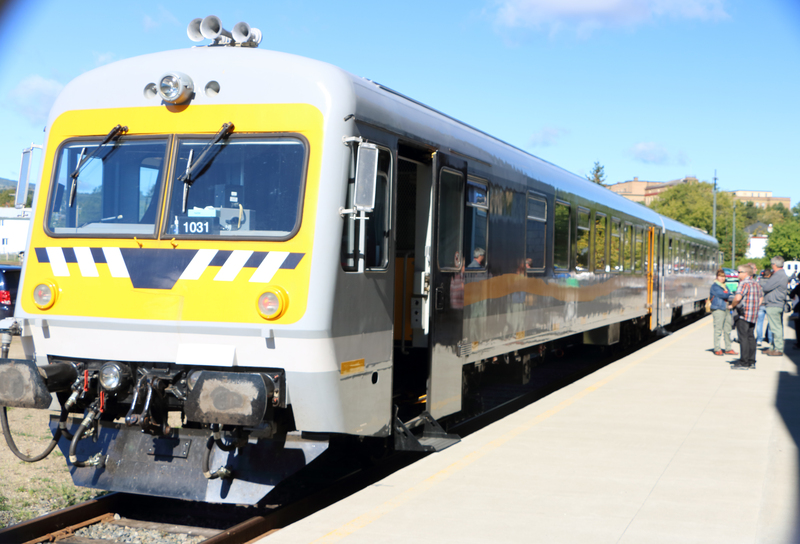 Travel by rail is more popular than it has been in decades and a golden age of passenger train travel is dawning in some places. 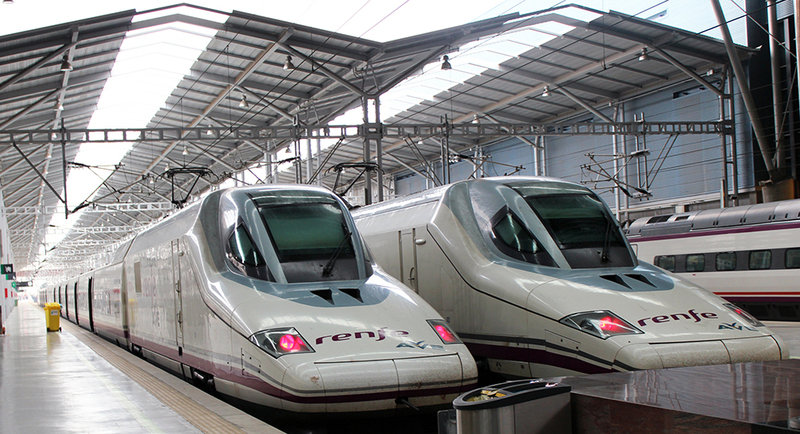 All the progressive industrialized nations of the world (except for the U.S. A., alas) have sophisticated high-seed passenger rail systems and are expanding them as quickly as budgets allow. Even in the USA, Amtrak, despite its seemingly-permanent funding peril thanks to a short-sighted Congress, is setting ridership records. You don’t have to travel on trains to enjoy them. The global rail network has attracted millions of enthusiasts who love, watch them go by and learn about them. Some, like Johnnie Cash or Arlo Guthrie, even sing about them. Train travelers worldwide can spot people at trackside camera in hand and radio scanner handy. In the U.S.A., we call them railfans and they even keep several enthusiast magazines in business. In North America, they have transformed locations like Horseshoe Curve in Altoona, Pennsylvania, the Cajon Pass in Southern California, Durango, Colorado, Canada’s kicking Horse Pass, Folkston, Georgia, metropolitan Chicago and elsewhere into iconic gathering places for the celebrants of steel wheel upon steel rail. Scores of short lines still haul freight and passengers with refurbished trains from a bygone era. Refurbished railroad stations like St. Louis Union Station or The Chatanooga Choo Choo complex, railroad themed restaurants and hotels are popping up around North America. Rail museums (many with operating steam locomotives far older than the volunteers who run and lovingly maintain them) are major tourist attractions. Even some big mainline freight railroads like Norfolk Southern and Union Pacific maintain small fleets of historic locomotives and passenger cars and operate mainline steam-pulled excursions for public relations purposes. England, too, is a hotbed of historic rail excursion operations and excursions and museums can be found in Switzerland, Germany and elsewhere. The romance of the rails still pulls children of all ages trackside and on board. 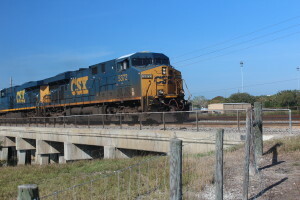 Disclosure: The host of this web site was bitten by the railfan bug when he looked out the window of his elementary school and saw trains run by and has been hooked ever since. The breathtaking view of the Front Range of the Canadian Rockies as seen from the dome on the observation car of the Canadian. A train full of Tropicana orange juice heads through Tampa on the way to New Jersey. October, 2015: As our taxi pulled in to the train station in Quebec City, our about-to-commence train trip from Quebec City to the Charlevoix region of Quebec was already off to a spectacular start. Right behind the station platform. 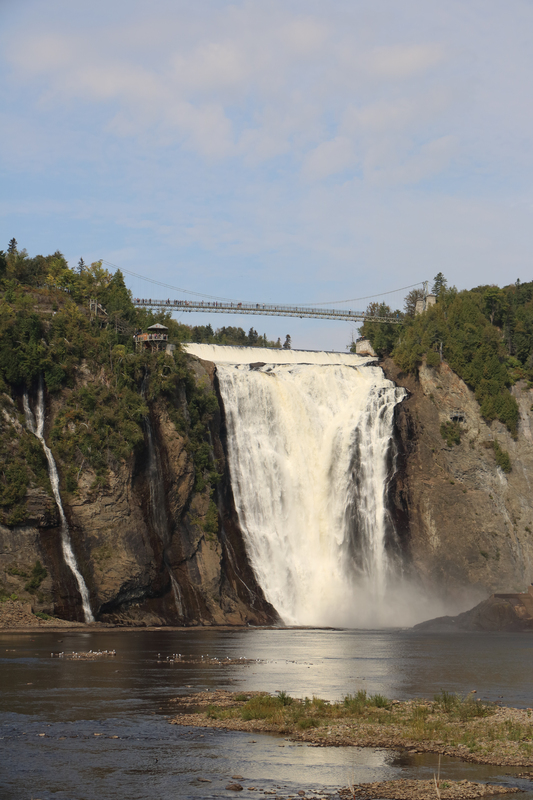 the mighty Montmorency Falls as the river of its namesake tumbled into the St. Lawrence from a height of 275 feet, the highest in Quebec and 98 feet higher than Niagara Falls. The station afforded an amazing view of the cataract and was so close to the falls that the roar and mist from the falls were hard to ignore. As impressive as they were, the falls were just a hint of scenic vistas about to unfold out the windows of the train. As we settled in to our European-style short two-car train, we found the seats to be comfortable and the windows were large and clean. The journey toward Baie St. Paul, two and a half hours distant down the St. Lawrence, began with a passage through suburban Quebec City. The view of roads, homes and shops soon gave way to incredible vistas of the St. Lawrence River, sometimes mere feet away from the rails. For long stretches of the journey, the railroad makes a leisurely passage along stretches of the St. Lawrence’s undeveloped northern bank that are otherwise inaccessible by road. After a stop at St. Anne de Beaupre and its impressive basilica (located adjacent to the station), the rain heads into the wilderness in earnest. Occasionally, we pass through some very small towns and glimpse into the back yards of riverfront cabins. The train passes through one tunnel and offers a constantly-unfolding view of the great river. The surrounding mountains and the glimpses of passing oil tankers and an occasional cruise ship using the river as a water highway between the Atlantic and the St. Lawrence Seaway are truly extraordinary. Baie St. Paul, our destination, is a delightful and picturesque town of 7,332 on the St. Lawrence. Where the Gouffre River flows into it. It is the seat of the Charlevoix Regional County Municipality and is filled with hotels (including the beautiful hotel Le Germain, right at the train station), art galleries, shops and restaurants. 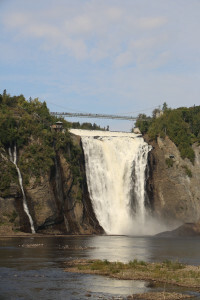 The railroad continue to nearby Malabie which is the jump-off point for the Massif of Quebec ski areas and whale watching cruises. 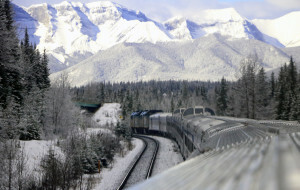 Rail shuttles from Baie St. Paul to Malabie operate year-round. During the summer months, the railroad operates at least two round trips from Qubec City to Charlevoix daily. Food and drink are available on the train. If you enjoy great scenery and want to see a remarkable stretch of the St. Lawrence valley from a perspective not available by road, take this train next time you are in Quebec City. Although you can the round trip in one day, I recommend that you stay at least one night in Baie St. Paul and enjoy a stroll among the galleries and a gourmet dinner.